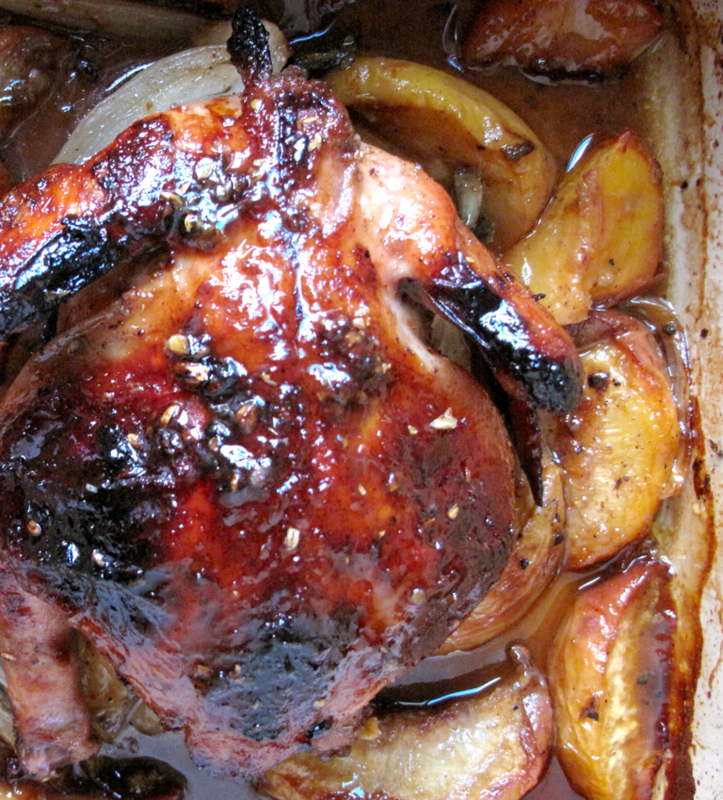 The sweetness of the caramelized peaches and the fennel chunks glazed by their own liquorices, then mixed with the exotic taste of the poussin – it’s a recipe for a passionate revelation. 1Preheat oven to 400F degrees. 2In a small bowl combine all spices and mix with the honey. 3Rub the entire poussin with half the olive oil and the spice mixture. Marinate for 30 min at room temperature. 4In a roasting pan arrange sliced fennel bulb and peaches, tossed with salt, freshly ground black pepper, honey and olive oil. Roast it for 30 min. 5In a sauté pan sear the bird until all sides turn golden, about 2 min. 6Place the bird breast side up and roast. While roasting occasionally with a spoon baste the bird with the remaining cooking mixture and continue to roast until done, for about 25 min.